Dec 20, 2017 Posted by AAfterwit on Dec 20, 2017 | Comments Off on Ellis, Loans, County Commission And Blue Origin. Ellis, Loans, County Commission And Blue Origin. Yesterday, the County Commission took up an interesting topic of whether it could borrow $8 million dollars to give to Blue Origin as an incentive to establish a facility here in Brevard County. Blue Origin is an American privately funded aerospace manufacturer and spaceflight services company set up by Amazon.com founder Jeff Bezos with its headquarters in Kent, Washington. The company is developing technologies to enable private human access to space with the goal to dramatically lower costs and increase reliability. Blue Origin is employing an incremental approach from suborbital to orbital flight, with each developmental step building on its prior work. The company motto is “Gradatim Ferociter”, Latin for “Step by Step, Ferociously”. Blue Origin is developing a variety of technologies, with a focus on rocket-powered Vertical Takeoff and Vertical Landing (VTVL) vehicles for access to suborbital and orbital space. The company’s name refers to the blue planet, Earth, as the point of origin. When Blue Origin was looking for places to establish a facility, the North Brevard Economic Development Zone (NBEDZ) hopped up and said “pick us.” To make the move, Blue Origin wanted $8 million dollars. Therein lies problem two: The County didn’t have $8 million but because of their credit rating, they could get it by borrowing the money. The “what the heck?” moment was that the public never got to see the contract between the County, NBEDZ and Blue Origin. There were no public comments, and no one outside of the parties were able to see the terms. To some extent we understand not requiring a company to disclose in a contract proprietary information, even when contracting with the government. But frankly, public funds going to private companies without any public input seems wrong. Redact what is proprietary out of the contract and let the public have a look at what their tax money is going toward. It just seems like a statute that needs to be reviewed and changed to allow the “transparency” that public officials campaign on, but seldom want or exhibit. The next problem was Clerk of the Courts Scott Ellis. Brevard County Clerk of Courts Scott Ellis — who would among those to have to sign the paperwork for the deal — said he questions the legality of the county borrowing money to pay the incentive to Blue Origin. Ellis plans to challenge the plan in court. “Since the $8 million in borrowed funds would be payable to a private company as an economic incentive grant, the Florida Constitution require the county to establish … whether the project to be funded serves a paramount public purpose,” Brevard County Attorney Scott Knox said in an agenda report memo to county commissioners in advance of Tuesday’s meeting. That determination would be made by a Circuit Court judge, Knox said. To have a judge determine whether $8 million of borrowed money would meet the definition of “paramount public purpose” takes the specialized services of a “bond counsel” firm to press a lawsuit. The cost of the services is not to exceed $25,000. 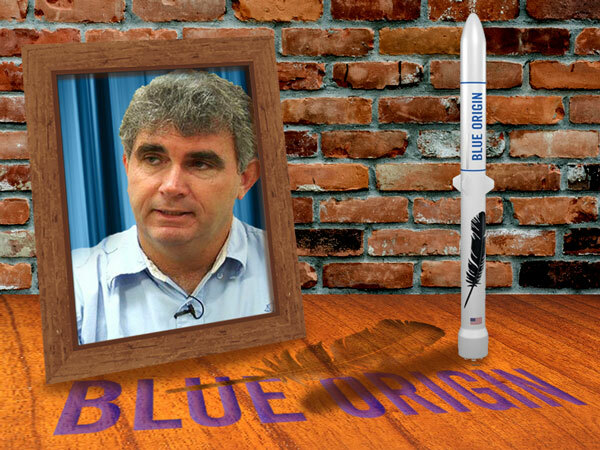 One would think that determination would have been made before offering the $8 million to Blue Origin. As we understand the contract as explained by Knox, the County is obligated for the $8 million no matter what. It is the method of providing the funds that is the issue. If the judge says the County can’t borrow the money, the County will have to look for the funds within it’s budget. However, as the debate over the money was taking place, we were struck by the three Commissioners who made rather substantial comments on how nice the Blue Origin building was, how it was larger than originally planned, and how it looked like Blue Origin was going to hire more people than initially thought. Even a staff member made a similar comment. “But look at the BIG, SHINY BUILDING!!! “But look at all the SHINY EMPLOYEES! !